Through unexpectedly connected examples from music, juggling, and baking, Eugenia Cheng will show that math can be made fun and intriguing for all, through hands-on activities, examples that everyone can relate to, and funny stories. She'll present surprisingly high-level mathematics, including some advanced abstract algebra usually only seen by math majors and graduate students. There will be a distinct emphasis on edible examples. This event is suitable for all ages including keen children. Please register any children that you are bringing under the guest section of this form. Any children under the age of 16 must have a parent or guardian present who is responsible for them. Dr Eugenia Cheng is Scientist In Residence at the School of the Art Institute of Chicago. She won tenure in Pure Mathematics at the University of Sheffield, UK, where she is now Honorary Fellow. She has previously taught at the universities of Cambridge, Chicago and Nice and holds a PhD in pure mathematics from the University of Cambridge. Alongside her research in Category Theory and undergraduate teaching her aim is to rid the world of "math phobia". 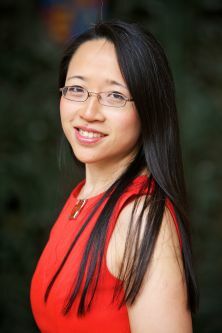 Her first popular math book, How to Bake Pi, was published by Basic Books in 2015 to widespread acclaim including from the New York Times, National Geographic, Scientific American, and she was interviewed around the world including on the BBC, NPR and The Late Show with Stephen Colbert. Eugenia was an early pioneer of math on YouTube and her videos have been viewed over 10 million times to date. Her next popular math book, "Beyond Infinity" was published in 2017 and has been shortlisted for the Royal Society Insight Investement Science Book Prize. Eugenia also writes the "Everyday Math" column for the Wall Street Journal, is a concert pianist, and recently completely her first mathematical art commission, for Hotel EMC2 in Chicago. She is the founder of the Liederstube, an intimate oasis for art song based in the Fine Arts Building. Her next book, "The Art of Logic in an Illogical World" is due out in 2018.